India cricket great Farokh Engineer at Old Trafford before the first ODI between England and the West Indies on Tuesday. 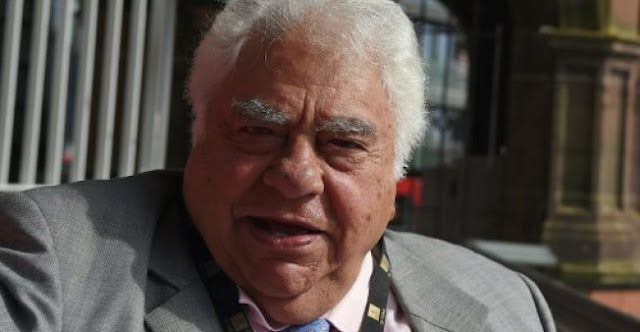 MANCHESTER (UNITED KINGDOM) - India great Farokh Engineer has said the "true test" of Virat Kohli's current side will come when they tour England next year. "The present Indian team are very good indeed," Engineer told AFP in an interview at Lancashire's Old Trafford headquarters on Tuesday -- shortly before England played West Indies in a one-day international at the Manchester ground. "Your technique is really stretched to the limit -- it sorts the men out from the boys." But Engineer was in at the finish of their ground-breaking victory at The Oval in 1971 -- India's maiden Test win on English soil seeing them to a 1-0 win in a three-match series following two draws. "He said: "OK, OK". What does he do first ball? He just charges down the pitch -- I think Alan Knott missed a reasonably easy stumping," Engineer recalled. "So what does he do now? He charges down the wicket, gets a top edge, four over the slips, and the next thing I see he's being carried off by people for a not-out four -- and I've stuck in there! Engineer added: "I'm glad the people in my era set the platform for the Dhonis and the Kohlis and the (Sachin) Tendulkars to follow." India great Farokh Engineer has said the "true test" of Virat Kohli's current side will come when they tour England next year. Under the captaincy of star batsman Kohli, India have risen to the top of the world Test rankings.